PET There are 10 products. 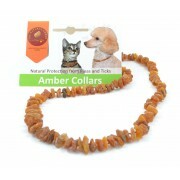 If you are looking for a natural solution that would help to repel fleas and ticks from your pet it is definitely worthwhile to consider Amber collar. 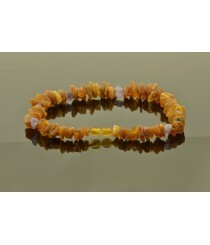 These collars contain beads of genuine Baltic Amber so they are completely natural. 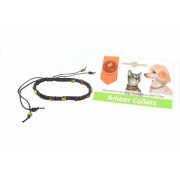 Amber has the ability to repel ticks and fleas since it has a specific smell, which is repelling to them. 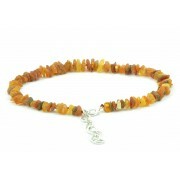 When Amber is close to animals fur it will start to release its specific odor. 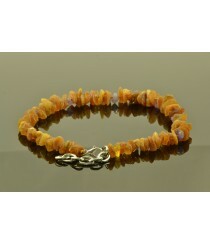 Also this natural resin has electrostatic features so it becomes more difficult for fleas and ticks to cling to hair of your pet. 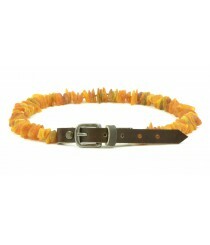 If a pet wears this collar constantly usually full repelling benefits are seen within 1 month time. 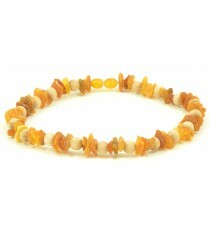 - In Thenaturalamber.com website we offer 3 main styles for dog or cat necklaces. 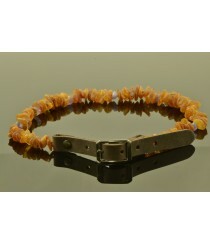 It is worthwhile to mention that different lengths are available starting from 20 to 65 cm so these natural collars can fit any pet. - We are able to offer best wholesale prices for our clients when at least 100 pieces are being ordered (minimum quantity for wholesale clients is 10 collars of the same size). 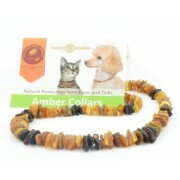 - Contact us (via info@thenaturalamber.com) if you need more information about prices of these Amber Pet Necklaces or how to order from us. 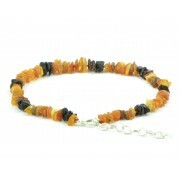 Product ID: 105 Pet Necklace; Short Description: Dog & Cat Necklace made from Raw Baltic Amber Beads; Length: This necklace is suitable for lengths from 22cm-40cm; Color: Multi; Style: Beans (Olive).